Every time you step on the mats in a gym, you are putting yourself at risk to infections such as ringworm and more. Some gyms are worse than others. And while some gyms take hygiene seriously, others do not. In any case, your best way to protect yourself is to use antibacterial soaps. 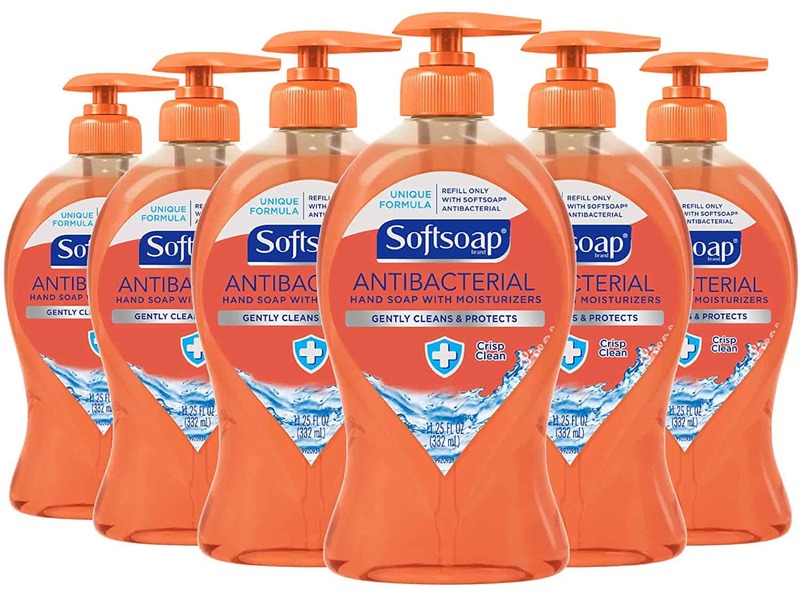 What is the best antibacterial soap? Before we get to answer that question, let’s talk why you should use antibacterial soaps in the first place. The simple answer is safety and protection of your skin. Antibacterial soaps contain ingredients that clean and moisturize your skin, but also help you get rid of germs. If your skin is prone to certain problems, an antibacterial soap is the simple solution to the problem. Have you ever noticed sudden growth of certain inflammation and irritation to your skin? One of the most common problems is acne, and it is all due to bacterial infections. The bacteria and germs are harmful eternally, but also pose risk to our health. Let’s start with a body wash that contains one of the most potent antifungal and antibacterial ingredients. That ingredient is tea tree oil. Anytime you see it in the ingredients list, go for it. This particular body wash does everything you need. 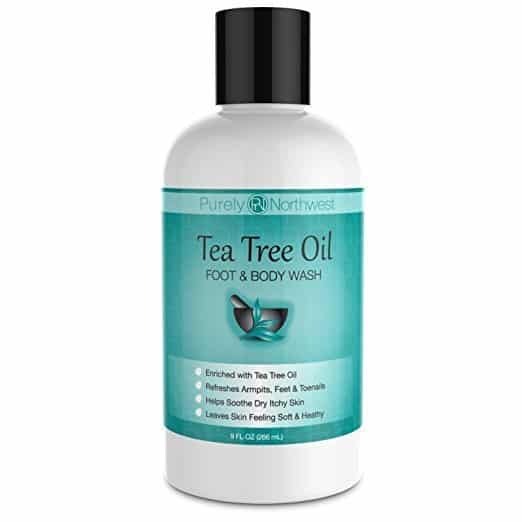 From healing athletes foot, ringworm, toenail fungus, jock itch, acne, and body odor, it will help you soothe your itching skin and promote healthy skin. Tea tree oil is not the only potent ingredient. The oil contains no parabens, no synthetic fragrances, and no dyes. And most importantly, it is made in the USA and is not tested on animals. Ideal for athletes who are active in running, cycling, self-defense, or workout regularly at the gym. Any gym enthusiast should have this antibacterial soap in his cabined. Makes an excellent wash in the shower after a hard and sweaty workout. The soap will help you refresh your armpits, feet, and your entire body, leaving you clean and soothing. Because it contains no parabens, it is safe for use even with kids, teenagers, and everyone who plays sports. You can even use it for nail hygiene, or washing your genital area. Clinically proven, this product is also made from tea tree oil and eucalyptus oil. As mentioned previously, anytime you have tea tree oil and you need antifungal or antibacterial solution, go for it. This particular soap was tested in the world of contact sports. The results show it can efficiently remove grime, gym crud, sweat, allergens, grunge, and built up oils. The soap is hypoallergenic, meaning you can use even on your sensitive skin. The soap is triple milled for quality, consistency, and longevity. However, even though it is generally considered safe, stop using if you notice any sensitivity. Because it contains eucalyptus and tea tree oil, you should avoid using during pregnancy or breastfeeding without consulting a medical person. 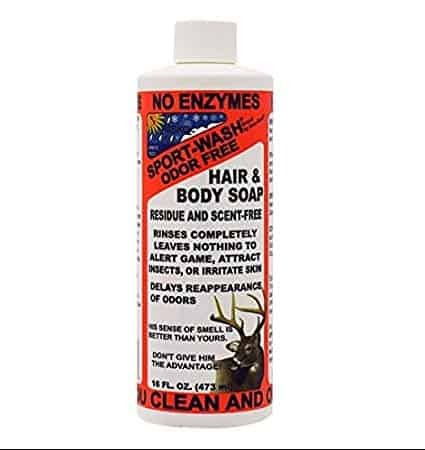 Active ingredients in the soap perform great against jock itch, dandruff, acne, dry skin, ringworm, and athlete’s foot. Be careful, this soap is not designed to treat, diagnose, or mitigate skin diseases. The best way to use is to apply a small amount of soap to a net sponge, and work into a thick lather. Allow it to remain on your skin for a few moments before rinsing. The soap has been proven to kill many different kinds of harmful bacteria, but also germs and viruses. In addition, the soap is gentle to use, and will assure you will not harm or irritate your skin. The soap is dermatologically tested, and results show it can prevent skin infections and reduce the risk of cross-infection. Hibiclens soap also has antiseptic activity, which makes it great for daily hand washing, general skin cleansing, and much more. Now, there is always that 0.1%, but no soap is 100% efficient. The unique formula of the soap moisturizes your skin, and leaves it feeling soft and protected. The unique formula has also been tested by dermatologists, and it is gentle on hands. Lotion hand soaps do not need FDA approvals, but it doesn’t contain triclosan. What makes this soap so unique and great is the ingredients list. Back in 2016, 19 antiseptics that were commonly used in hand soaps were banned by the FDA. Out of those three ingredients, benzalkonium chloride was one that was not banned, and that ingredient is in this soap. The main feature of this soap is that it is 100% pure vegan. 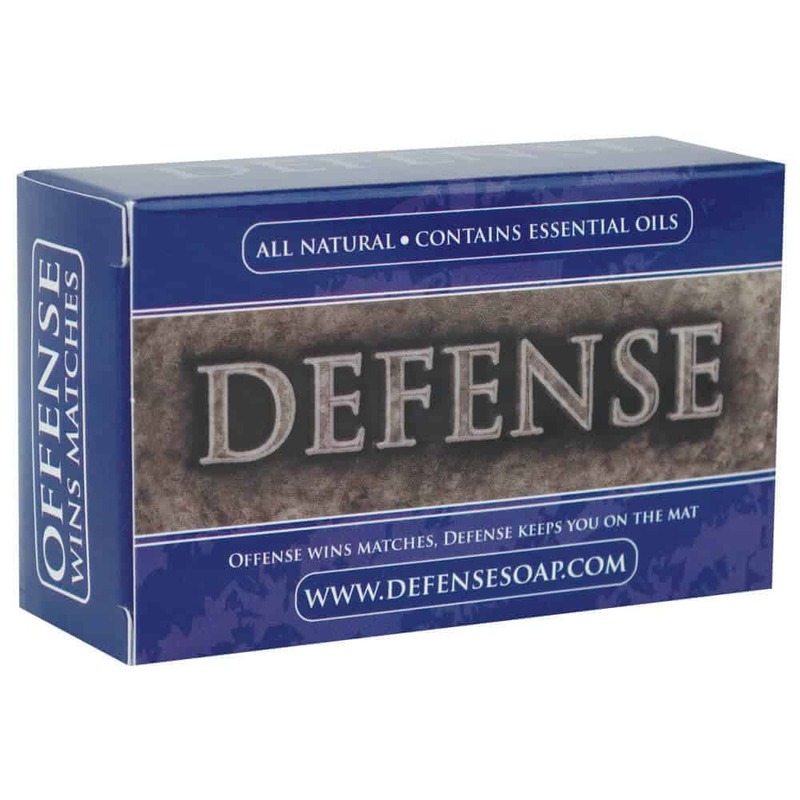 It contains only USDA organic plant-based ingredients, including lemongrass, lime, and patchouli, all of which help kill germs and bacteria naturally and gently. The soap does not irritate your skin, as it contains no harmful chemicals, parabens, dye, petroleum, animal fat, fragrances, or GMO. This makes the soap safe for all skin types. 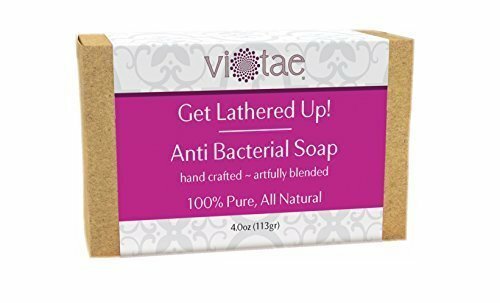 While some antibacterial soaps might leave your skin dry, the Vi-Tae soap does not. The soap contains coconut, sunflower, and other oils that provide deep hydration for your skin. You can look at the soap as an ultimate luxury treatment you give yourself after a long and taxing day. Bonus, this soap bar can be used for hydrating dry skin, but also removing makeup. Thanks to the gentle exfoliation, the soap will remove all remnants of makeup. Do you want to experience pure, and fresh feeling of clean and long-lasting soap and deodorant protection? That is a feature Dial has been known for many years. This soap is the latest in the company’s portfolio. 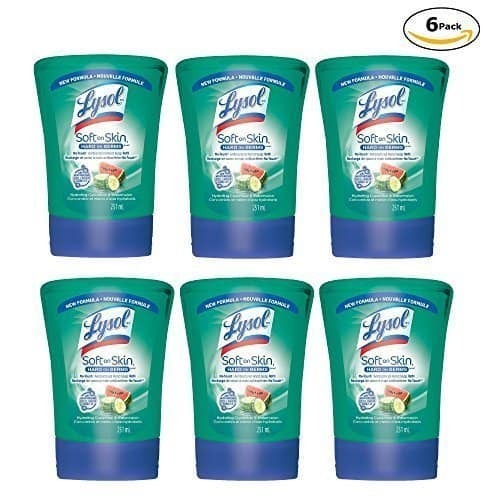 Provides round the clock odor protection to help you feel clean and fresh. The soap is formulated to provide creamy, moisture rich lather that will wash away germs without drying your skin. The bundle pack includes 3 x 10 bar soap packs, for a total of 30 bar soaps. Avoid eye contact when using the product. Best way of using on wet bat with water, and lather vigorously and wash skin. 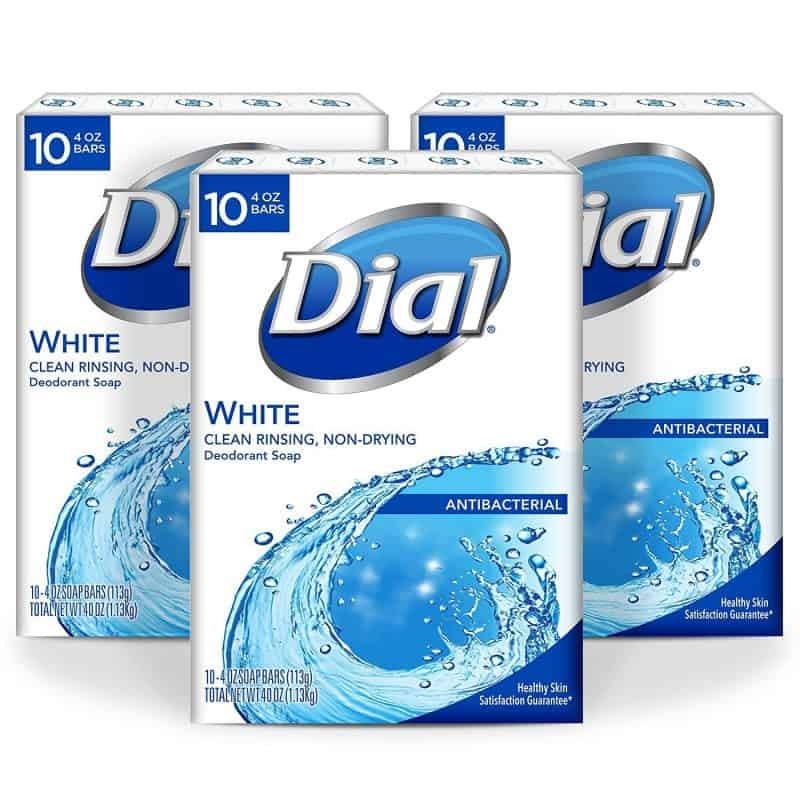 The product is suitable for everyday use, and does a great job without the strong smell characteristic for some other Dial products. If you truly enjoy a rejuvenating shower after an intense workout, look no further than this soap. It is the ultimate experience. This purely herbal soap, scented with essential oils and colored with organic herbs ad plants is 100% natural. Washes away sweat and odor, and leaves your skin clean. The key ingredients in the soap also help soothe sore muscles after a workout, and re-energize your mind. There are no parabens, chemicals, synthetic fragrances, or anything else. 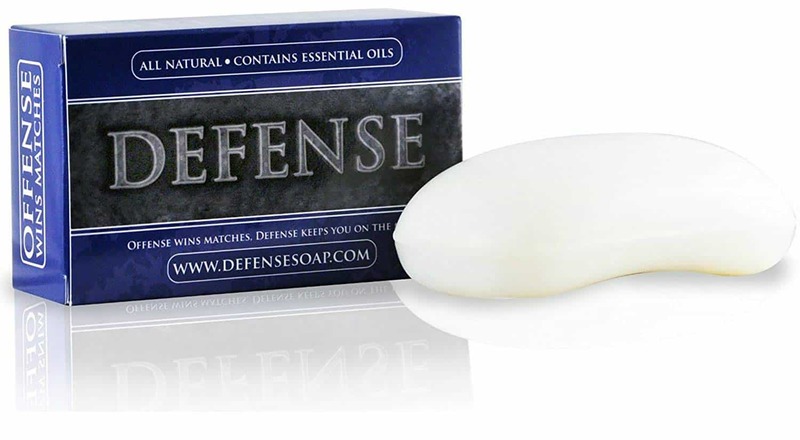 It is a pure power clean soap, ideal for all skin types, even the sensitive ones. 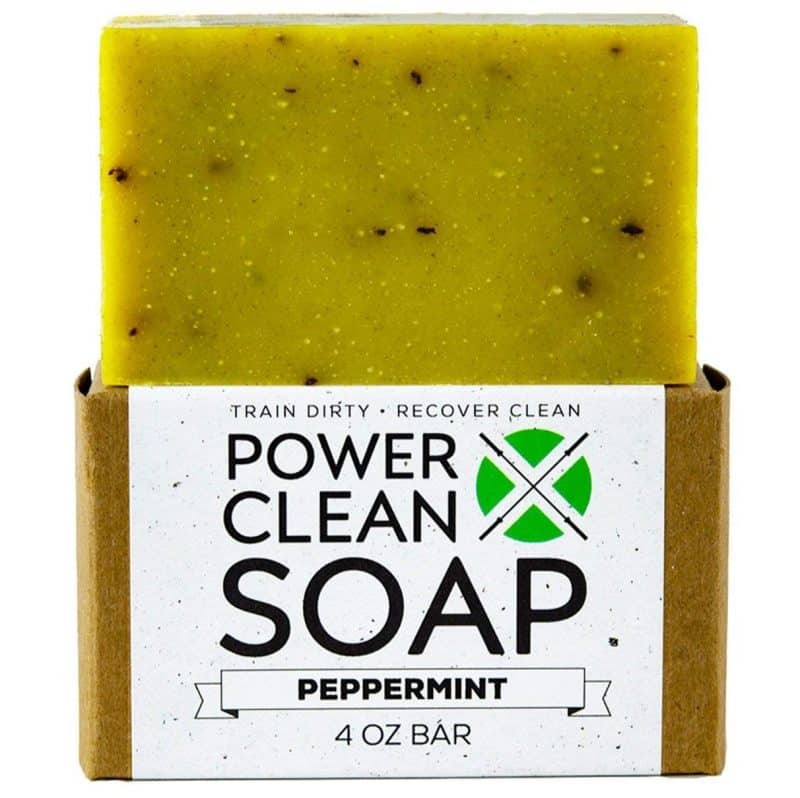 Unlike most antibacterial soaps, this peppermint soap retains a significant portion of the glycerin which adds a good amount of moisturizing properties. Buying this product will ensure you will never have to touch a germy soap pump again. The soap automatically dispenses with just the right amount of soap. Contains hydrating ingredients like cucumber and watermelon. Best used in Lysol no touch system. Soft on your skin, and hard on germs. One case contains six Lysol creamy vanilla bliss no touch refills. The company always tries to show accurate product information. The soap kills 99.9% of bacteria as it is dispensed, and they have enriched it with moisturizing ingredients. The 8.5oz refill contains 166 applications. Rinses completely clean, and leaves nothing behind. Produces a rich lather you can use on hair, scalp, and skin. It is free of odor-causing bacteria. There is no residue left behind, and leaves your skin and hair scent free. The ingredients include some sulfates, particularly sodium laureth sulfate. 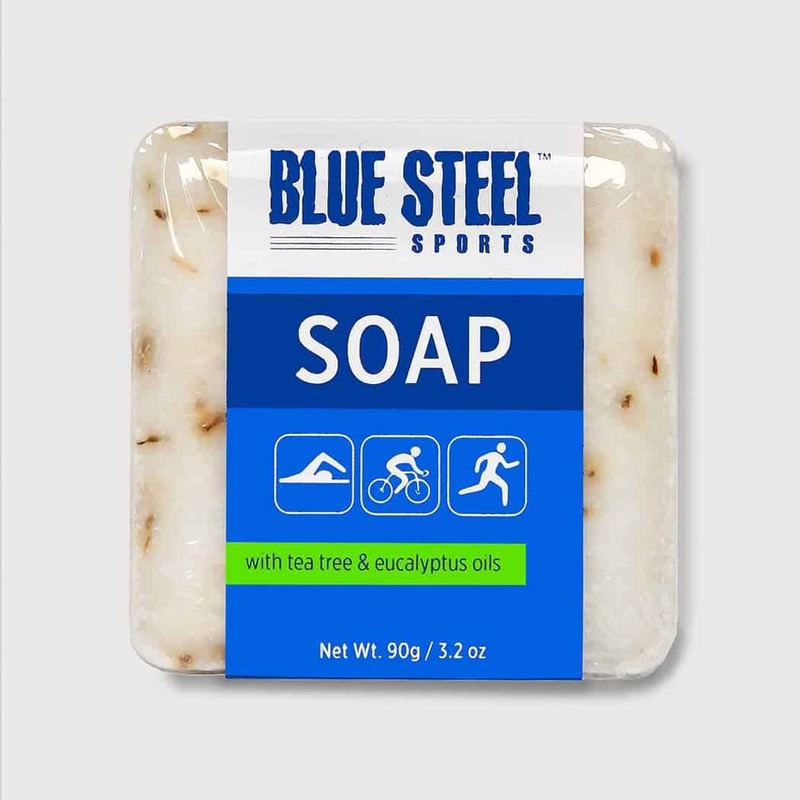 Last, but not least on the list, we have Blue Steel Sports soap. Contains essential oils like Eucalyptus and tea tree oil, which adds a bit of natural benefits for your skin. The soap leaves your skin feeling refreshed, clean, and invigorated. It also contains natural rooibos tea, which gently exfoliates your skin. You can use to clear acne and minor skin rashes. 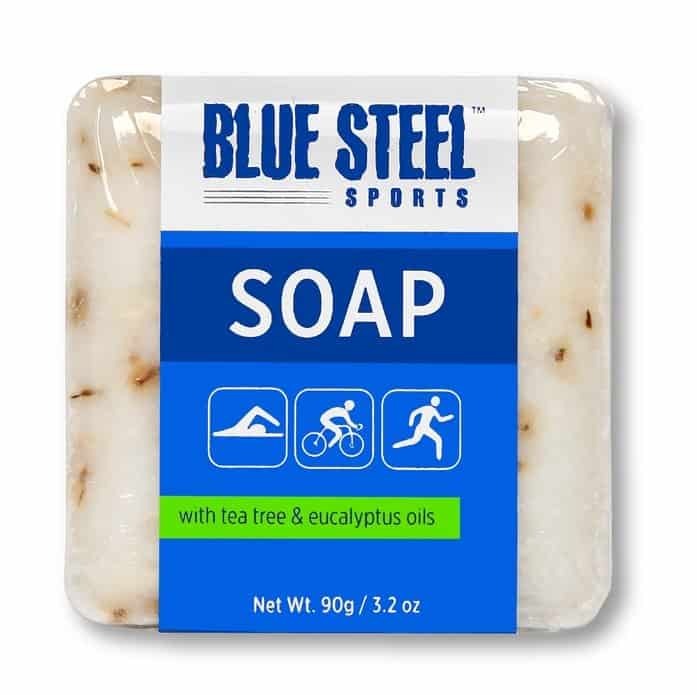 All natural, triple milled and very long lasting, the soap is specifically formulated for runners, endurance athletes, cyclists, and triathletes. Use after workout or training as your daily body wash.